Guernica author Richard Lee’s book Get Onboard: Walk in the Shoes of a Transit Operator has been getting a lot of attention lately, and was recently discussed in an article by The National Post! 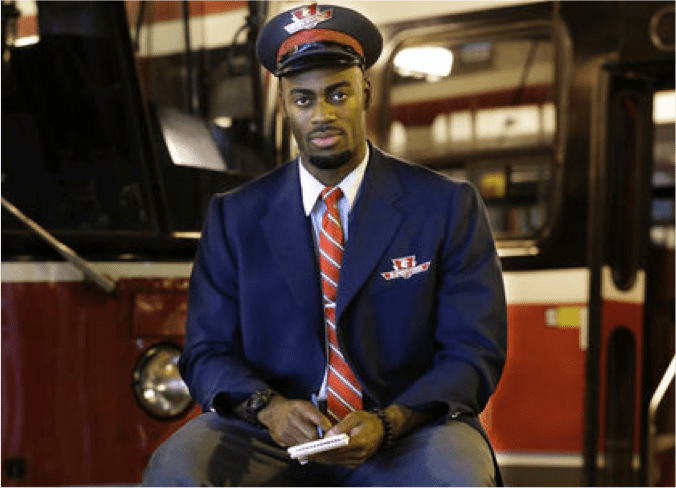 Sadaf Ahsan’s article “TTC supervisor Richard Lee’s new book, Get Onboard, details a day in the life of a transit operator” begins by describing Lee’s book, “a 180-page book about a day in the life of transit operators and what they experience on the job”. The book is compiled from conversations with co-workers that took place over two months, with an emphasis on “shattering the stigma surrounding TTC drivers”. Ahsan quotes from an interview that Lee had with The Toronto Sun in which he explains “For so long the media and social media has been filled with stories of TTC operators, but they haven’t [been] able to share their experience and stories to the public until now…Because of this book, the public now can see the sacrifices TTC operators make daily. I was inspired to write the book because there is so much good stuff people don’t know”. Tagged with Get Onboard: Walk in the Shoes of a Transit Operator, National Post, Richard Lee, Toronto Sun.